Welcome to the Slavery Research Bulletin, the Freedom Fund’s monthly brief designed to bring you new & compelling research from the global anti-slavery movement. A 40-country benchmarking index by the Economist Intelligence Unit examines how countries are responding to the threat of sexual violence against children. Alarmingly, only 21 of 40 countries in the index have laws that prohibit the sexual touching of minors, and only five countries collect prevalence data on child sexual exploitation. Research by the Center for the Study of Democracy explores the business of human trafficking in the European Union. Case studies in nine countries were informed by interviews with traffickers, providing first-hand insight into sources of capital, operating costs and the management of profits within these criminal enterprises. A survey of 1,902 households in Syrian refugee settlements in Lebanon sheds light on the living conditions of refugee children. It found that girls were less likely to be enrolled in school, earned less money and worked in harsher conditions, compared with boys. Based on data from the Chinese judicial system, an article in Crime, Law and Social Change details the process of luring Myanmar women into China for forced marriage. Most female victims were trafficked under the guise of job offers in China and sold as brides for an average price of $5,689 US dollars. A report by Oxfam analyses early and forced marriage in South Sudan. The report found that in Nyal, an area that has bordered some of the most brutal fighting in South Sudan’s five-year conflict, an estimated 71 percent of girls are married before age 18, and 10 percent of girls are married before age 15. A handbook by the Airports Council International provides guidance for airports to take action against human trafficking. A FLEX briefing highlights the risk of labour exploitation under two government programs aimed at bringing migrant workers to the UK after Brexit. An article in the Journal of Sexual and Reproductive Health Matters explores local attitudes towards child marriage in rural Tanzania. 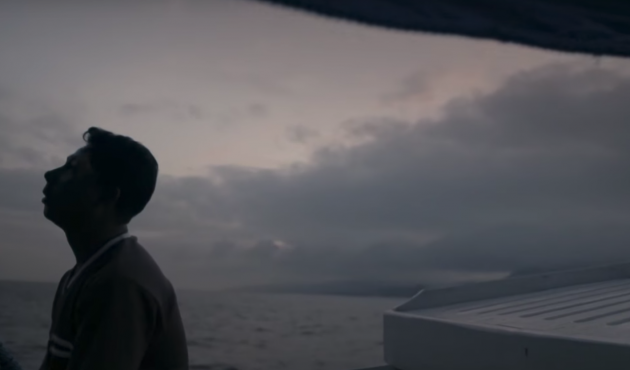 “Ghost Fleet“, a new film on slavery in the Thai seafood industry, screens on March 18 & 19 in London as part of the Human Rights Watch Film Festival. For more news and updates about the Freedom Fund, visit our Newsroom. You can also view archived issues of our bulletin here. You can also subscribe to our bulletin here, and read archived issues here.